How Can Mall of Lahore Make Customer Experience Unforgettable? Shopping Malls are being overshadowed by the idea of online shopping more by the day. According to Business Insider, malls will fail or be converted into non-retail space within the next 10 years. Even if we pull our focus entirely on malls, it’s a common perception that enhancing customer experience and offering a comfortable ambience keeps shopaholics coming back to Malls. Not only does it provide them with an obscenely vast variety for shopping; garments, shoes, accessories, snacking, dine in restaurants, grocery etc. it also proves to be extremely convenient travel-wise for most people. The Mall of Lahore is a large, state-of-the-art multi-purpose shopping mall in Cantt, Lahore, encompassing a vast range of brand outlets. So, why would people prefer to come to Mall of Lahore as opposed to all the other malls? Because they make the experience memorable for customers in a number of ways. The idea is to categorize the target audience (teenagers, women, men, mothers, the elderly etc.) and hit them all by standing out with its unique architecture, ambience, variety, customer service, apartments for travelers etc. Here are 6 major features that Mall of Lahore has and need to be adapted by other malls as well. The one thing that people run from is a bad traffic management. Having already traveled through traffic jams, they try to avoid places that do not accommodate properly. Keeping track of an orderly and methodical parking area would make the customers feel at ease. It would also help avoid unnecessary traffic jams at the entrance. Snacking while shopping is quite a popular concept. In order to avoid customers from exhausting themselves and reluctantly leaving because they need a cool glass of water or a protein bar we must pay significant heed to the existence and maintenance of food courts with a variety of quick-service, take along food. Shopaholics are considered most important because if they don’t find what they’re looking for then you’re not doing it right. Give them a lot of good and different options to choose from. Using the space wisely and choosing the brands smartly would help with the diversity. ATM machines and First Aid services should readily be available to customers. Having a specific area designed for kids to serve as a distraction as well as a safety room would take a lot of stress off of mothers while they’re shopping. Hired help to gently handle kids is a necessity in such a situation for mothers to be satisfied. Parents could hand their children to the caretakers and pick them up on their way out. Play areas are specifically built separately from the shops for the purpose of proper entertainment package for kids. Young mothers need someone to look after their kids while they shop in peace. If they have to constantly keep an eye on their little ones and unable to pay attention elsewhere, they would eventually give up on the tough task. Secondly, mothers wouldn’t always be able to stay single-mindedly receptive to the kids and it can also result in the child being misplaced or getting hurt for example, by the elevator. In a spacious Mall with numerous shops people tend to lose their way and end up getting sidetracked. Making sure that there are either signs to show clearly where what is and/or having customer service representatives on each floor is essential for guiding the customers to the right directions. Having signboards mentioning category and the floor number is a new trend in malls being opted to help customers in giving directions. The ambience of a place has a bigger effect on people than anyone would think. Imagine walking into a humid place on a summer day and walking around for hours at end. It’s to be considered cruel. A pleasantly and centrally air conditioned mall instead, could make a world of difference and keep the customers happy and fresh. Lights that are either too bright or too dim do not make sense in a mall. We don’t want the customers to have a headache immediately after they walk in, nor do we want them to strain their eyes trying to buy things that they can’t really make out in dim lights. The secret to keep the balance just right. To highlight an offer, or a sale shopkeepers prefer having a spot light or LED lights to make them prominent for the customers passing by. Providing apartments in a mall is a new trend to be seen nowadays in every mall being constructed in Lahore, which enhances the probability of retaining out of city customers. 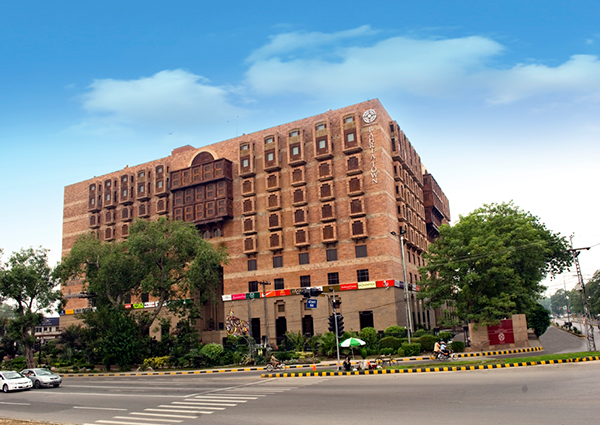 Mall of Lahore has apartments on the top floor for the convenience of travelers who look for a comfortable place to crash after a day of shopping. They’re beautiful, roomy and homely, with small balconies and plants around for a pleasant effect. Shopping Malls must be roomy, and should easily accommodate the maximum amount of people on a busy day. But they should not be so huge that the distances tire the customer. Places to sit and relax in their 5 minute snacking breaks should be paid special attention to, in terms of availability and comfort. Systematically situated shops in a mall are better than sporadic ones that often confuse customers enough to want to leave. For best utilization of space in a mall it is preferred to hire the services of en expert interior designer in Pakistan.